The human brain is a remarkably complex work of art. With over 100 billion neurons, it enables us to synthesize, organize and memorize information at rapid speeds, 30 times faster than the best supercomputers. If we learn how to use it correctly, we’ll have direct access to its unbound potential. There are, however, certain limitations to our mind’s ability to process data, because of it’s tendency to oversimplify, generalize and confabulate stories. It’s doesn’t help that we’re overly trusting of our inner commentary that plays in our mental background. If we aren’t conscious of our mind’s fallibility, we might become victims of our own fixed patterns of thinking. For us to gain a better awareness of how we process things on an internal level, we need to understand of the basic mechanics of the mind. The mind is composed of two parts: the conscious and subconscious mind. The conscious mind is responsible for logic and reasoning, and controls all the actions that we do with intention. It evaluates and analyzes everything we encounter in our waking life. The subconscious mind, on the other hand, is responsible for involuntary actions of the body, such as breathing and digestion, which don’t require conscious thought. It’s the most powerful realm of your mental domain because it governs deeper aspects of your persona, such as your emotions, beliefs, memories and intuition. Although it’s behind the scenes, it plays a dominant role in your decision-making. 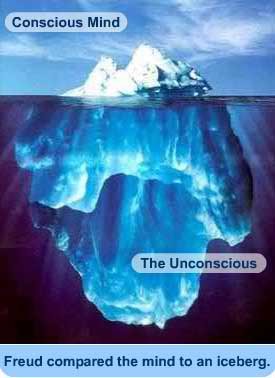 The subconscious runs on auto-mode and responds to situations based on mental conditioning and instinct. 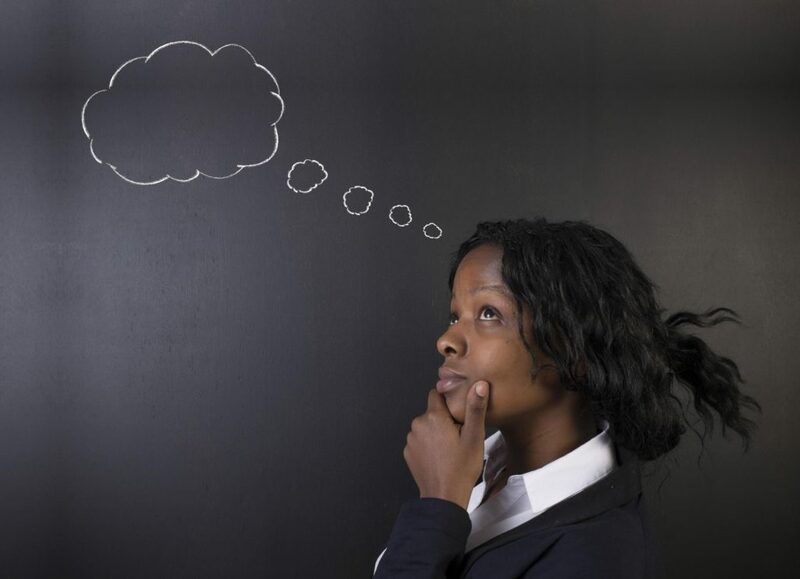 Besides the unconscious beliefs derived from our model of the world, there are generic ways of thinking, known as ‘heuristics’, which cause blind spots that can skew reality..
Heuristics is a psychological term that describes the mental shortcuts people use to make decisions or judgments. This usually involves focusing on one aspect of a complicated issue to the exclusion of others. Under most circumstances, this is an elegantly efficient way of handling complex situations and data, but it can sometimes lead to cognitive biases and inaccurate assessments outside our awareness. Heuristics are popularly used in the marketing, leadership and political arenas for tactics to control and influence people. I believe that if we’re cognizant of these maneuvers, we can prevent ourselves from being swayed into making decisions that aren’t right for us. 1. Availability heuristic: Availability heuristics occur when we estimate or make a judgment about something based on how easily we can recall relevant examples from our memory, of specific circumstances that we have witnessed in the past. In other words, if we can remember things more easily, we tend to assume that they are more common than the things that we can’t easily remember. For example, if you watch a lot of violent crime movies or sitcoms and news channels, you will probably perceive the world to be a dangerous place where disasters and calamities constantly occur. This perspective will keep getting reinforced every time something catastrophic does occur because it validates what you witnessed onscreen. 2. Representativeness heuristic: The representativeness heuristic is a form of stereotyping where we make judgments and decisions about an event, based on how similar it is to a prototype, model or example we have developed within our minds. While the availability heuristic has more to do with memories of relevant experiences, representativeness has to do with memories of stored concepts that we have formed. Here is a typical example of representativeness heuristic: if you visited a certain neighborhood near your town and befriended a couple of nice people out there, you will be prone to assume that everyone else in that town is going to be friendly bunch of folks as well. 3. Anchoring and adjustment heuristic: The anchoring heuristic influences how people intuitively estimate probabilities. Based on various psychological experiments, it seems that we tend to fixate on the first piece of information that we get before making a decision. The initial target number or value that we get becomes our anchor for future adjustments. For this reason, the first kernel of data is crucial because it influences the choices that we make thereafter. This can be observed when a retailer quotes us a higher than average price so that when we negotiate for a lower price, they will still make a profit. The salesperson knows that we will anchor onto the price they’ve quoted, even if it’s on the higher side. 4. Affect heuristic: The affect heuristic occurs when we allow our emotions and moods to influence the decisions that we make. Researchers have found that when we’re in a positive emotional state, we tend to perceive a situation to be high benefit and low risk. On the other hand, if we are in a negative emotional state, we will see a situation to be low in benefits and high in risk. Let’s say you were bullied in school by a certain girl who made you feel sad and worthless. If you see that same girl 20 years later at a high school reunion, you’ll probably still dislike her, even if she has become a better person, because you find it difficult to forget the emotional memories of how she made you feel when you were younger. 5. Social proof: Social proof occurs when we’re overly reliant on the cues that we receive from our external environment. This often occurs in socially ambiguous situations in which we are unsure about how to behave. We might assume the people around us know what to do and we’re quick to emulate their behavior so that we can fit in. Unless we have a mind of our own and strong sense of self, most of us look to others to guide our actions and to learn about what’s acceptable and what isn’t acceptable. We tend to speak in the same jargon and dress in similar style to our closest friends. We will slow down our speed if the other cars ahead of us in the highway are slowing down, even if we don’t know why. Marketers use social proof to get consumers to trust their products by getting celebrity endorsements. 6. Scarcity heuristic: The scarcity heuristic influences us to believe that the perceived value of an item (or person) is higher and of better quality if it is rare and difficult to acquire. In stores, you’ll often notice that there is higher demand for “limited editions” and the popular fast-selling items because people assume that those products must be special if everyone else is buying them. Some of my male friends have admitted their frustration about how women show more interest in them when they’re in a relationship than when they’re single. I explain that it’s because some women view them as being a better catch when they’re taken and that they aren’t as accessible as they used to be when they were single. Buddhist monk Matthieu Ricard once said that our mind can either be our best friend or our worst enemy, depending on how we use it. When we maintain a steady awareness of our potential blind spots, we strengthen our alliance with our mental faculty and create a life of abundance and joy. 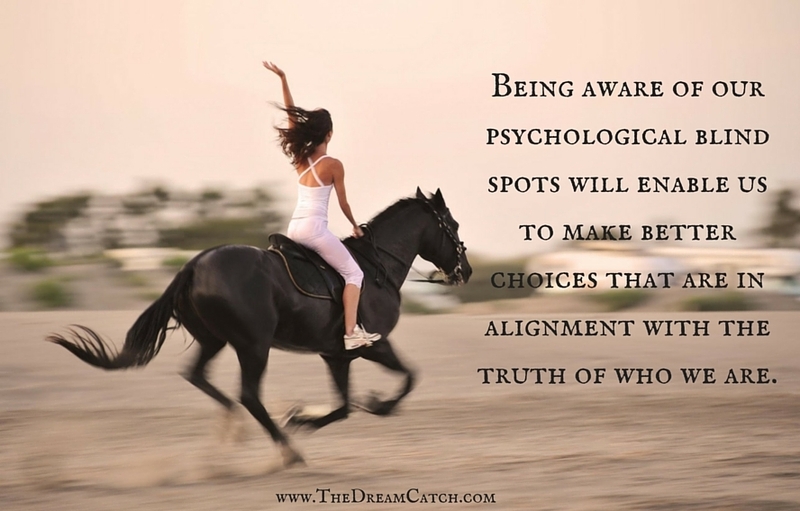 Question for you: How is your decision making going to shift now that you are aware of your potential psychological blind spots? Lots of helpful information here. I will definitely be reading through this again I am sure. Thank you for sharing with us and for presenting this in such an honest and straightforward manner!